Popchoir is the perfect solution for any company wanting to boost or maintain their employees' morale. 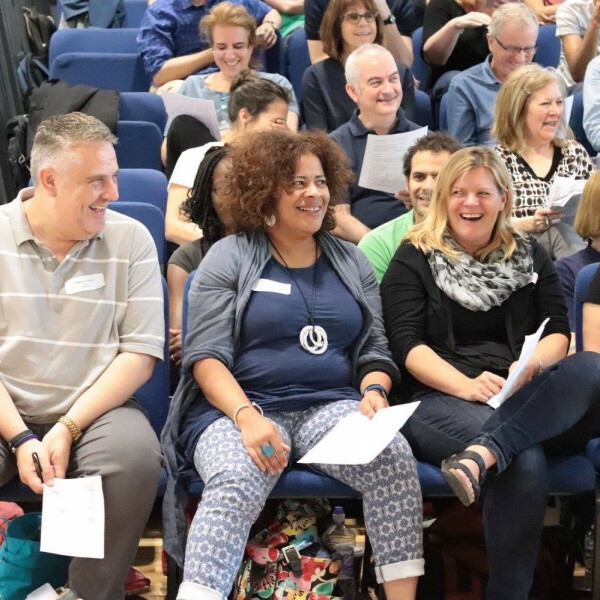 Either as a one-off team-building day or a regular weekly activity, Popchoir can come into your workplace and infuse your staff with the feelgood factor that singing brings. Tailor-made for your business, we also offer workshops, public speaking coaching and leadership training. Not only does it help build a sense of community, but singing also has proven and recognised health benefits. It lowers stress, eases tension, improves circulation and respiration and releases loads of good endorphins into the body, which elevate the mood and make you feel a whole lot better. Sick days taken due to stress and mental health issues are on the increase and cost your business thousands in lost work hours. So help to keep your employees well and in work, because as we all know, a workforce who feel energised, happy and connected to each other is a much more productive one. Call or email us to discuss how we can help your Company.